I wrote this policy definition for a customer few weeks ago – to restrict VMs from connecting to particular subnets. 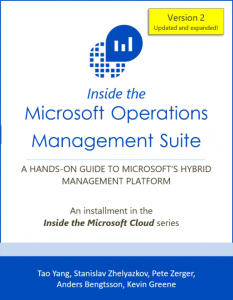 The customer has several subnets that should not be used by VMs, i.e. dedicated subnet for Azure ADDS (which is not associated to any NSGs), or subnets that are using different NSGs, which normal users should not be using. Since the intension is not restricting users from using the entire VNet, but only particular subnets, we could not apply such restrictions using custom role definitions. 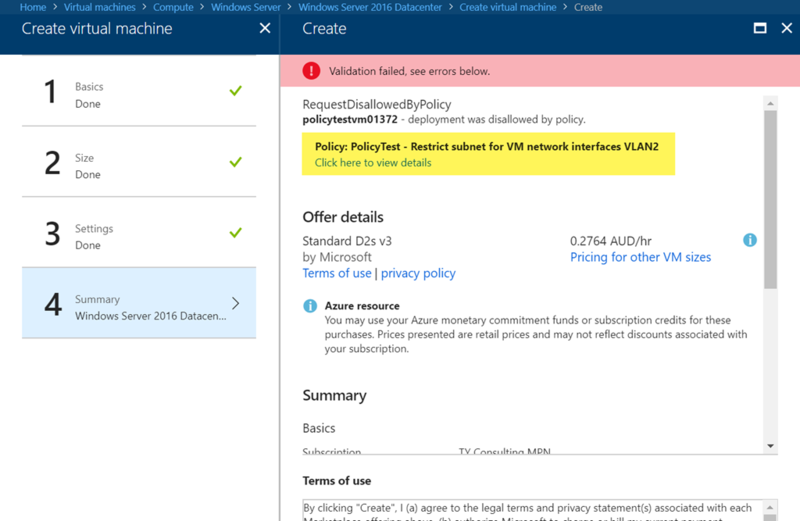 It is also located in my GitHub repo: https://github.com/tyconsulting/azurepolicy/tree/master/policy-definitions/restrict-vm-nic-from-connecting-to-subnet. 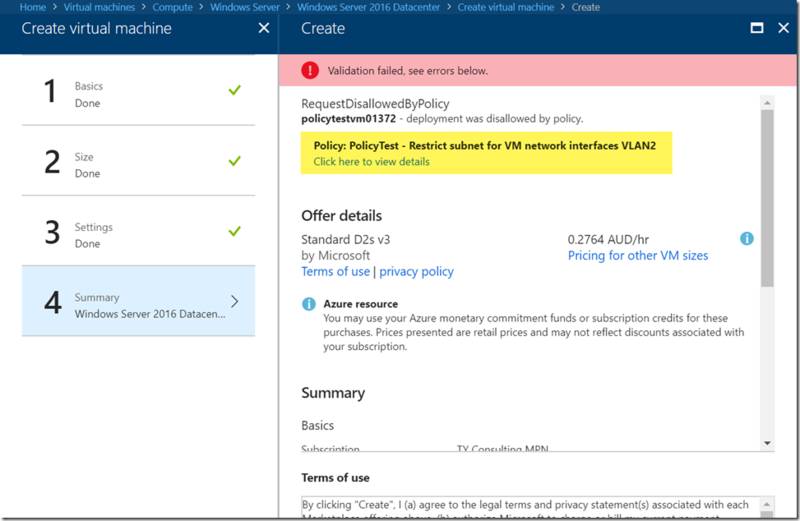 From this repo, you can download the policy definition, or deploy directly to your environment via Azure Portal. It’s documented in the README.md file. If you have more than one subnet to restrict, you can easily include multiple instance of this policy definition in an initiative and assign the initiative.